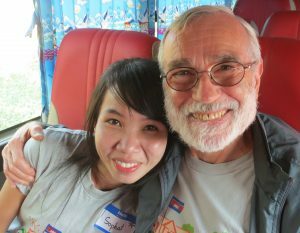 How can you help a scholarship student and change a life? We need sponsors to support the scholarship program. With a small donation you can change a life. Our scholarship students cannot continue their education without financial assistance. The pictures below were taken on a bus trip in Cambodia in 2015. 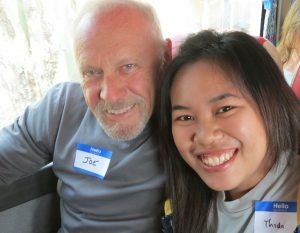 The sponsors got a chance to get to know the students they support. What a joyous time we had! Students in grades 7-12 are selected based on two criteria. 1. They must be from very poor families in danger of dropping out of school because of financial need. 2. They must be very good students. A committee from the village, including our English teachers, primary schools officials and Venerable Sovechea, our operations manager, first identify the scholarships candidates. Then each candidate, along with their parents, completes an application form. Final selection is made by the Cambodian Village Fund Board. What does the scholarship give a student? When a student enters the program, they receive a bicycle, school uniform, backpack and school supplies. They also receive a monthly allowance and a new school uniform and school supplies every 6 months. 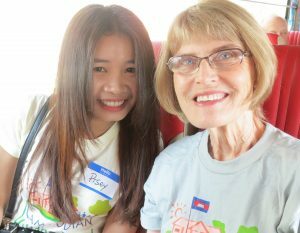 Scholarship students are required to attend the Cambodian Village Fund after-school English classes. 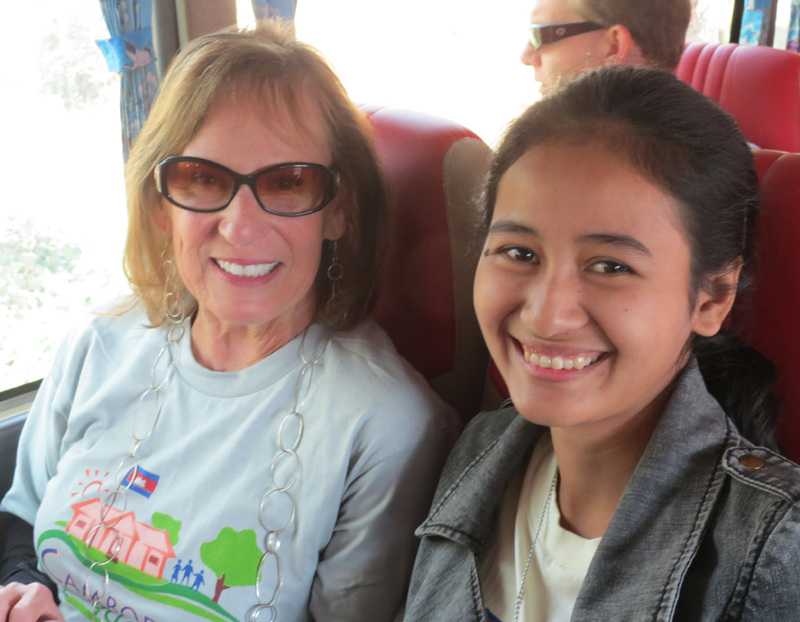 Students in 11th and 12th grade, and college students, live in the Cambodian Village Fund Scholarship House in Battambang, where they can attend better high schools and universities. Students living in Battambang receive room and board, tuition, school supplies, school uniforms, English classes, special tutoring, smart phone, laptop computer, WiFi, dental care, vision care and an allowance. How much does it cost to sponsor a scholarship student? We spend an average of $1,000 per year per scholarship student. 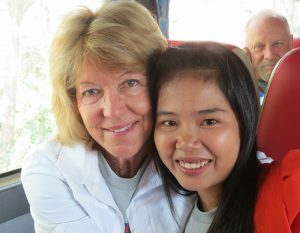 (Students living at home in the village cost about $400 per year while students living in the Timothy Sykes Scholarship House in Battambang, cost about $1,600 per year). You can become a sponsor with a $25 per month ($300 per year) donation. Some sponsors choose to provide complete support for their student--$400 per year for a student at home in the village or $1,600 per year for a students living in Battambang. In either case we will send you photos and letters from your student and updates on their progress in school. If you think that one person can’t make a difference, sign up to sponsor a girl and see the amazing results. click the "Donate" button, below. To make a recurring donation of any amount, click the "Recurring Donation" button below, using a credit card or PayPal. Choose the amount you wish to donate and the frequency (monthly, quarterly or yearly). Your automatic donation will be deducted from your credit card or PayPal account. education is to the human soul.